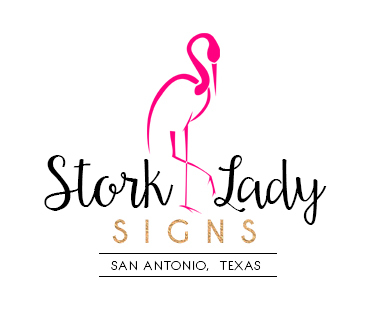 Stork Lady Signs is a “new baby” announcement and birthday yard sign service in the greater San Antonio, TX area. We serve the following locations: San Antonio, Alamo Heights, Alamo Ranch, Castle Hills, Converse, Fort Sam Houston, Lackland Air Force Base, Leon Valley, Lincoln Heights, Live Oak, Universal City, Hollywood Park, Kirby, Olmos Park, Randolph Air Force Base, Shavano Park, Stone Oak, Terrell Hills, The Great Northwest, Windcrest, Helotes, Leon Springs, Edgewood, Rio Medina and Boerne, Texas. 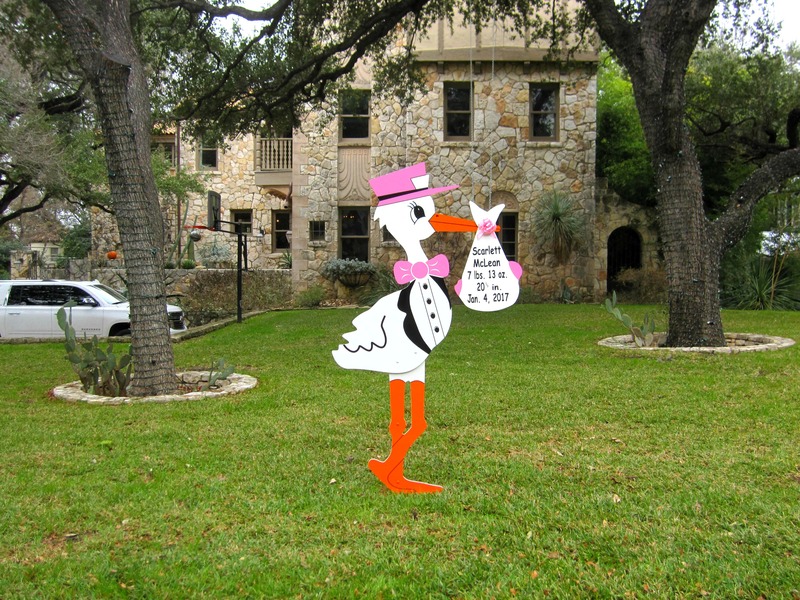 Please contact us at 210-601-7351 to rent a stork or birthday lawn sign to welcome home your new baby or grandchild or to celebrate your favorite birthday boy or girl.